The Goddard School summer camp curriculum incorporates STEAM learning (science, technology, engineering, arts and mathematics) into exciting, one-of-a-kind and fun experiences for your child every day! The Goddard School offers a broad range of programs and mini-camps to pique the interest and curiosity of every child. The founding principle of The Goddard School’s curriculum is that children experience the deepest, most genuine learning when they are having fun. The Goddard School has integrated this philosophy into every aspect of our summer camp to foster play-based learning opportunities both inside and outside the classroom. 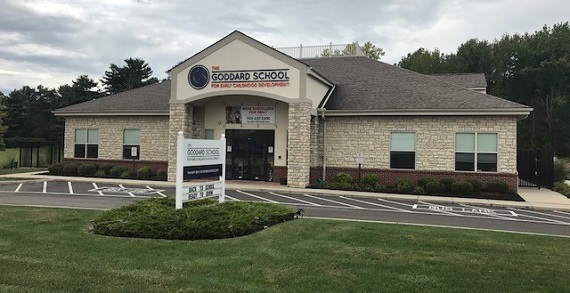 The Goddard School is a trusted name among parents and families. Its classrooms are safe, nurturing environments for children six weeks to six years, offering age-appropriate opportunities to explore and discover. From infants to toddlers, preschoolers to kindergarteners, highly trained teachers lead each child to reach developmental milestones, preparing the children for social and academic success. Its F.L.EX.® Learning Program (Fun Learning Experience) is based on academic research that shows children experience the deepest, most genuine learning when they are having fun. Designed to provide a well-rounded experience and ensure children become confident, joyful and fully prepared students, our play-based curriculum offers enrichment programs such as chess, music, yoga, drama and foreign languages. Results of a recent third-party review show that Goddard School students, on average, score 45% higher on literacy and mathematics assessments versus non-Goddard School students. Visit the website to learn more or call to schedule a tour.